Choose from a variety of options and packages, and learn about our policies. Be sure to register early to lock in our best prices! Riders can choose from several bike route options that vary in distance and difficulty. All of our routes are hand-selected, thoroughly tested, fully supported. Enjoy well-stocked comfort station rest stops, breakfast and lunch at our Food Truck Fiesta! Other meal choices are available to satisfy your needs. We organize a full assortment of fun outings, excursions, and activities. We are not your average bike ride, but a true vacation. Sleep indoors or outside… you decide! We offer camping under the stars, as well as hotel rooms, and everything in between. 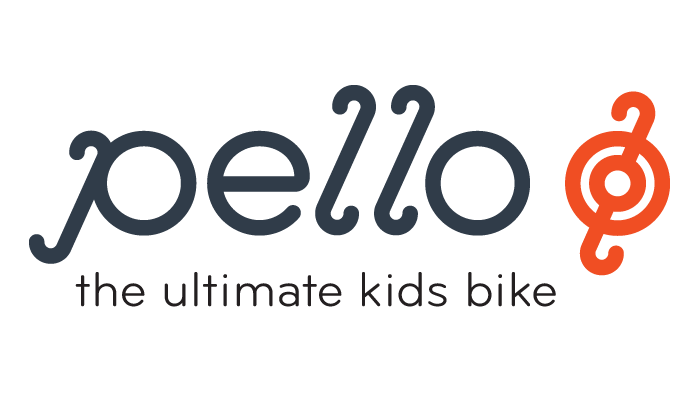 We are a non-profit that works to inspire biking for health, fun, tourism, nature. Help achieve our mission by looking and feeling good at the same time. Save the date! The 2019 Bike Virginia Tour is scheduled for June 21–26, 2019. 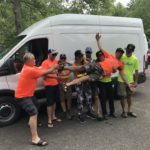 The 2019 event marks 32 years of riding for the Bike Virginia Tour. We’re going back to one of our rider favorites, the Shenandoah Valley, for 6 days of riding bliss. Come for a day, come for the Weekend Escape, or all 6 days of riding fun. Base camp will be located at Masanutten Military Academy in Woodstock, Virginia for Friday, Saturday, and Sunday (June 21,22,23). Base camp will be at Hillandale Park in Harrisonburg, Virginia for the second three days, Monday to Wednesday (June 24, 25, 26). These two communities warmly welcome us back for the 2019 bike event. They’ve been great host communities in past tours and we are very excited to be working with them to plan an outstanding vacation experience. 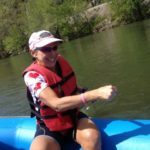 Riding in a Shenandoah Valley bike tour like the 2019 Bike Virginia event will treat you to one of the premier riding experiences that Virginia has to offer. This area of Virginia has both valley and mountain road bike riding, offering a great blend for riders who want something with flatter route options than the 2018 tour in the New River Valley in Southwest Virginia. We’ll be accepting 1,600 riders for the 2019 event. Plan early to save your spot. December 1 marks the opening day of Registration. Look for pricing, lodging information, and route updates on the 2019 Bike Virginia Tour here soon. Each year we pick a fun theme for our ride. That’s one of the many unique things about Bike Virginia. In 2019 we’re looking back to the 50s for our colorful and and playful Bike-o-rama theme. We’ll have a fun theme party on the weekend, car show, 50s inspired snacks and entertainment options. And of course, Costumes are encouraged! Prizes for the best bike decor and party costumes. Bike Virginia is known for offering a quality riding experience where safety and comfort are the top concerns of the event organizers. We offer loop routes so you can choose your ride each day based on elevation, distance, and how you feel that morning. Check out some past routes to see an example of how we work. Bike Virginia focuses on putting you in the drivers seat. You make choices about your riding, your food, your lodging, the number of days you ride, and your pace, having your own car accessible for the entire time, and the ability to leave and come as you like. No other bike tour gives you the freedom that Bike Virginia offers. Ready for a vacation that really helps you reset? You pedal, smile, repeat. We take care of the details. Bike Virginia is a fully supported ride that is all about rider’s choice. Multiple routes daily. Long or short. Hard or Leisurely. Camping or hotels. Food Trucks. Multiple registration options. Stay up to date with all things Bike Virginia by reading our blog. You can also get news delivered directly to your inbox by signing up for our email newsletter, Like us on facebook for timely status updates, take it short and sweet via twitter, or stoke your imagination with inspiring imagery on instagram! Also, the key feature of being able to have a home base and choose different routes that return to the starting point each day gives the riders the ultimate in flexibility each day. An organized ride with SAG support, rest stops, marked routes, selected bike-friendly roads through Virginia country side. I want to thank you for such a great event. I was impressed by the level of organization, helpfulness, and friendliness of the staff and volunteers. Thank you for your understanding and professionalism in handling my request. You exceeded my expectations. Also, your organization, Bike Virginia, has put together an excellent product that can rival any on the East coast. The attention to detail, safety factors, and dedicated staff are impressive and appreciated. The route markings were the best of any ride I’ve ever been on. Thank you for that, and for a beautiful, well-organized ride.